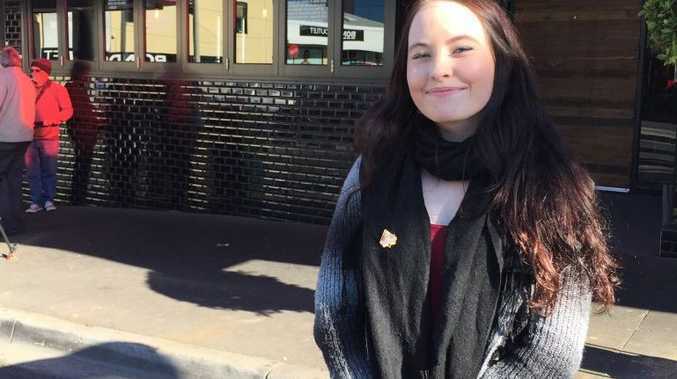 FORMER Tannum Sands woman Kahlani Pyrah has won her case against burger chain Grill'd, with the Federal Court ordering the business to reinstate her after she was sacked for blowing the whistle on below-award wages and rorting of traineeships. Justice Philip Burchardt made the orders at an injunction hearing on Monday morning in Melbourne, clearing the way for Ms Pyrah to proceed with her application on Thursday in Fair Work Australia to terminate Grill'd Camberwell's Work Choices-era job contract that pays below-award wages with no penalty rates. Ms Pyrah gained national attention after the story broke about her sacking last week, with almost 24,000 people signing an online petition demanding Grill'd reinstate her. Her story also triggered an enormous backlash on social media against Grill'd Burgers, forcing the burger chain to promise better pay to thousands of its workers. United Voice lawyers proposed a compromise position to Justice Burchardt that Ms Pyrah be reinstated on leave without pay until the full case begins on August 24, which he assented to. Ms Pyrah welcomed Justice Burchardt's decision. "I'm so happy. This sends is a really strong message to workers everywhere that we can stand up for our rights and when we stand up together we can win - that's what being in a union is all about," she said. "I am overwhelmed by support and solidarity I have received - it's come in from around Australian and across the world." "I think my story has touched a nerve because people know young hospitality workers everywhere are being underpaid and intimidated if they try to speak out." United Voice Victorian secretary Jess Walsh said Ms Pyrah's bravery was an inspiration to workers everywhere. "This is such fantastic news. It's an incredible victory for Kahlani and her gutsy move to speak out about Grill'd's lousy pay and dodgy training," Ms Walsh said. "But her case also highlights how hard it is for workers to speak out. Kahlani shouldn't have to go all the way to the Federal Court to enforce her right to have a voice at work and have her legal rights upheld."